There are currently three UCSD Community Stations operating across the San Diego-Tijuana region, each focused on a particular set of urban and environmental issues. The Stations seek to link the specialized knowledge of UC San Diego with the community-based knowledge embedded in underserved neighborhoods on both sides of the border. This two-way flow – a mutual exchange of knowledge, inquiry and resources – is a new model of partnership between university and community-based agencies, redefining the idea of community service from a vertical conception of “resource provision” or “applied research” to a collaborative, or horizontal, model of engagement. The UCSD Community Stations Network is the first of its kind in public higher education in the US, positioning UCSD as a leader in community-engaged research and teaching on issues of diversity, social disparity and uneven urbanization, contributing to its reputation as a campus committed to public service, research impact and accessibility. 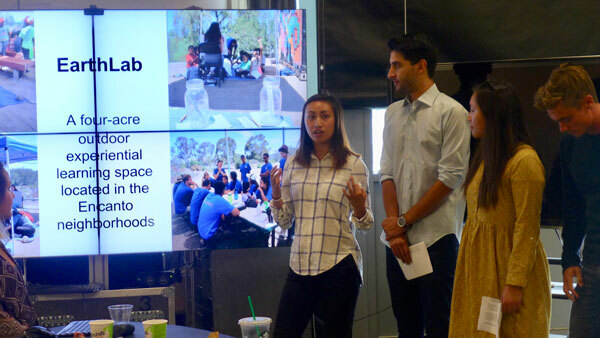 The Blum Summer Field Internship (BSFI) was established in 2014, with generous funding from University of California Regent Richard C. Blum and the UC Office of the President, to enable UCSD undergraduates to participate in immersive, team-based field research and projects in the UCSD Community Stations. The internship promotes experiential learning, training students to analyze societal challenges through multiple disciplinary lenses, communicate across disciplinary languages and knowledges, and engage in collaborative problem-solving with each other, and with our community partners. 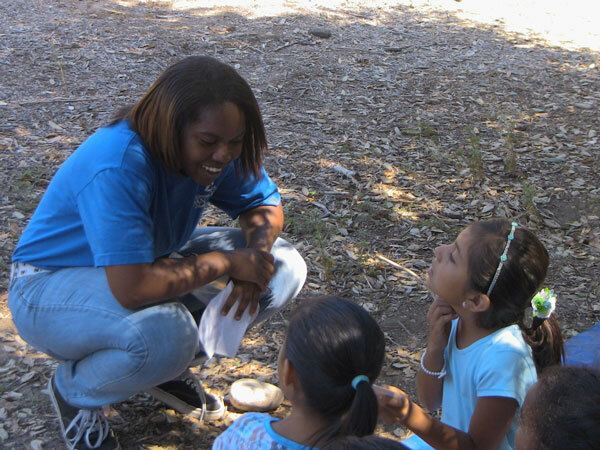 Every Summer, through the BLUM Summer Field Internship, UCSD undergraduates serve as mentors to local youth and children. In collaboration with Groundwork SD, we are presently co-curating an annual mentorship program. The Public Mentorship program will invite high school students to participate in a year-long set of circulations between EarthLab and UCSD. With the support and guidance of a team of inspiring mentors (professors, graduate coordinators, and undergraduate students), they will develop and launch their own design projects with a focus on education and climate action, contributing to the development of the EarthLab Food, Water, and Energy exhibits, as well as the fabrication programming at the Environmental Design Lab. Mentees will actively share their expertise with their Encanto community, propelling their journey as climate-action leaders in their future academic and career paths. 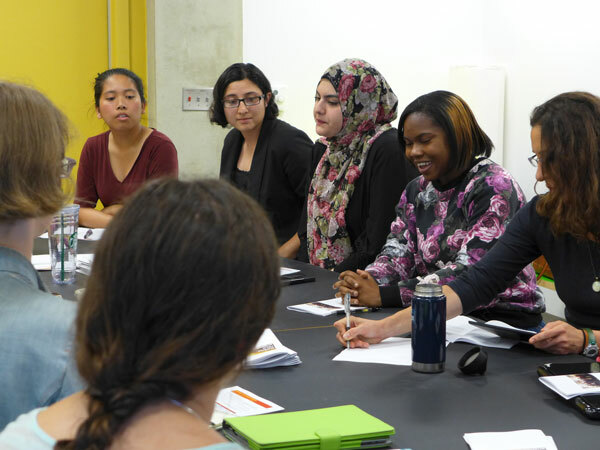 The Public Scholars program, launched in 2013-14, supports respected community leaders to to spend time on campus each academic year to engage with faculty and students, lead workshops, and find other innovative ways of sharing their community-based experiences and knowledges. This “meeting of knowledges” enables the university to engage more ethically, elevating the public scholars as ambassadors for their communities inside the campus, helping to critically frame the challenges that need to be prioritized in the construction of new educational and research agendas. Impact of Experiential Environmental Education on STEAM success in underserved urban communities. The EarthLab has become a model of university-community partnerships for participatory climate action in underserved urban neighborhoods. 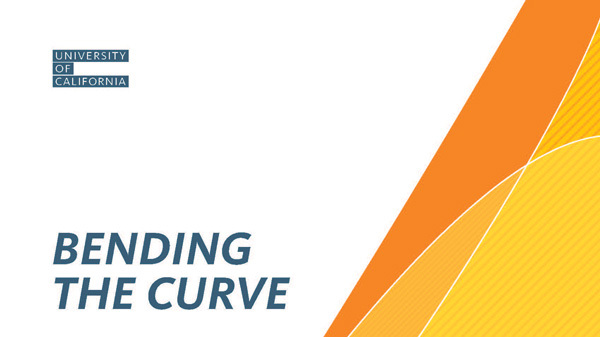 EarthLab figured prominently in the 2015 report, Bending the Curve: 10 Scalable Solutions to Carbon Neutrality, vice-chaired by Groundwork Advisor, UCSD Professor Fonna Forman. The report identified 10 solutions to reducing carbon emissions that have been successful in California. It was commissioned by UC President Janet Napolitano, authored by 50 University of California researchers, and carried by Governor Jerry Brown to the COP-21 meetings in Paris. Bending the Curve presents the EarthLab, and Groundwork’s Chollas EcoVillage project, as a central case study of university-community partnerships for advanced energy solutions in California’s disadvantaged communities. 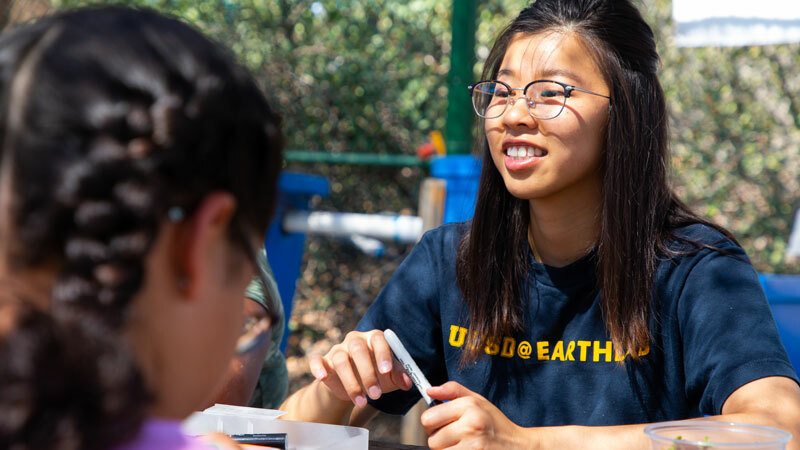 EarthLab was highlighted in further iterations of Bending the Curve, including a new University of California system-wide undergraduate course and MOOC focused on climate change solutions. This course now reaches hundreds of undergraduate students each year, with plans to scale to thousands in the years to come. The EarthLab was also presented by UCSD Professor Fonna Forman at the Pontifical Academy of Sciences, Summit: Our Planet, Our Health, Our Responsibility in November 2-4 2017. 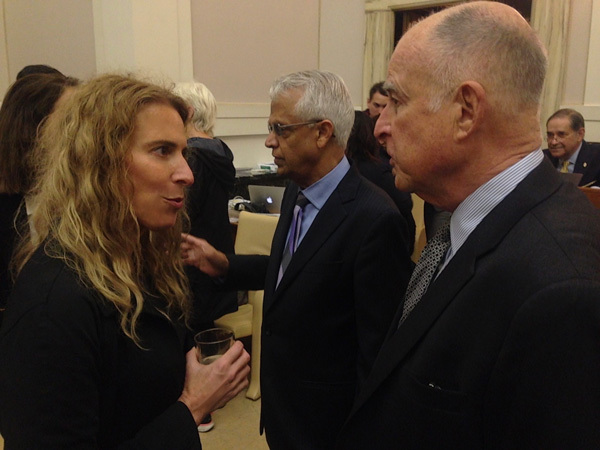 In attendance were some of the world’s leading public health policy advocates and researchers, renowned scientists, as well as California Governor Jerry Brown and US Representative Scott Peters, among others.